Private investors have acquired a three-level retail building occupied by long-term tenant Domino's in Brisbane's CBD at auction for $4.825 million. The 488sqm building at 105 Albert Street, Brisbane, was sold at the Ray White Corporate auction in Brisbane by Ray White Commercial Queensland Director of Sales, John Dwyer, on a 4.9 per cent yield. Mr Dwyer said there were 15 registered bidders at the Ray White Corporate auction rooms at 111 Eagle Street, Brisbane, and a highly competitive bidding environment for the property, which generates net rental income of approximately $238,000 per annum. “This was the best auction I’ve ever been involved in, and I’ve been involved in many,” Mr Dwyer said. Mr Dwyer said this auction success follows the recent off-market sale by Ray White Commercial Queensland of a 750sqm retail building at 201 Elizabeth Street, Brisbane, for $5.65 million to a future owner-occupier. 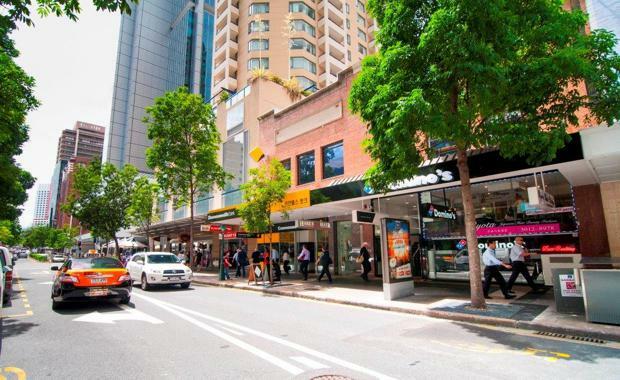 “These sales represent a changing of the guard in the Brisbane CBD and a wakeup call to those who have been considering investing in retail property in the city centre,” he said. Mr Dwyer said Dominos recently committed to a new 10-year lease at 105 Albert St.
“This building is ideally located in the highly sought after Albert Street precinct which is going through a significant transformation,” he said. “The building is surrounded by a number of major hotel and residential projects that are currently under construction or are planned.